Advanced grammar school through secondary school students and college age students have the possibility of working with the professors and teachers of the University of Music Trossingen in order to expand their abilities and get advice and Tips for their preparation to study at a University of Music or if already in a Music University, to make better progress in their studies. The participant will also gain new ideas and inspiration from the other participants. Maximum is 14 Particpants per instrument. For tuba, 6 participants is the maximum. 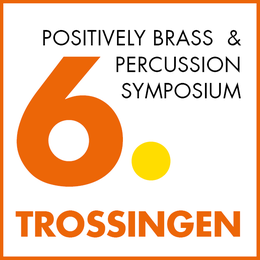 On October 5 and 6, 2019, Guido Marggrander, Symphonieorchester des Bayerischen Rundfunk, and Franz Lang, Professor for Percussion at the University of Music Trossingen, will give a Preparation Workshop for Percussionists who would like to do the entrance exam for the University of Music in Trossingen or for another German University of Music. This workshop is limited to 8 active participants.